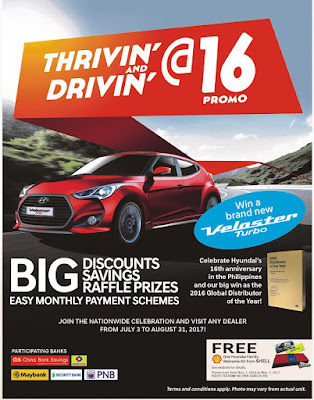 Celebrating its recognition as Hyundai Motor Company’s Distributor of the Year, Hyundai Asia Resources, Inc. (HARI) is offering big savings, big discounts, and easy monthly payments from now until August 21 with its “Thrivin’ and Drivin’ at 16” promo. Easy ownership schemes for the Eon, Accent, Elantra, Sonata, Veloster, Tucson, Santa Fe, and Grand Starex are available. Among the offers include P 100,000 savings which may be used as an outright cash discount or as subsidies to lower either the downpayment or monthly amortization. 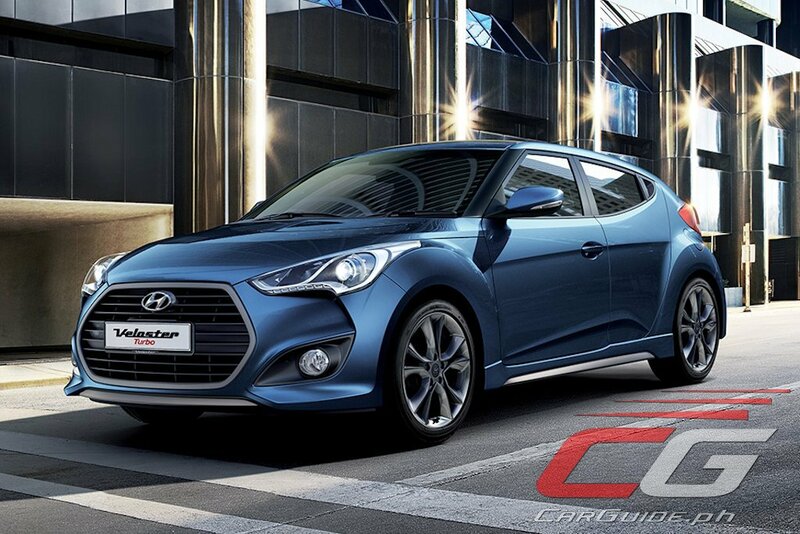 Plus, this special promo offers customers the chance to win Apple gadgets such as iPhone 7 Plus, MacBook Pro, roundtrip tickets to New York, London, or Japan, and even a brand-new Hyundai Veloster Turbo in a raffle draw. 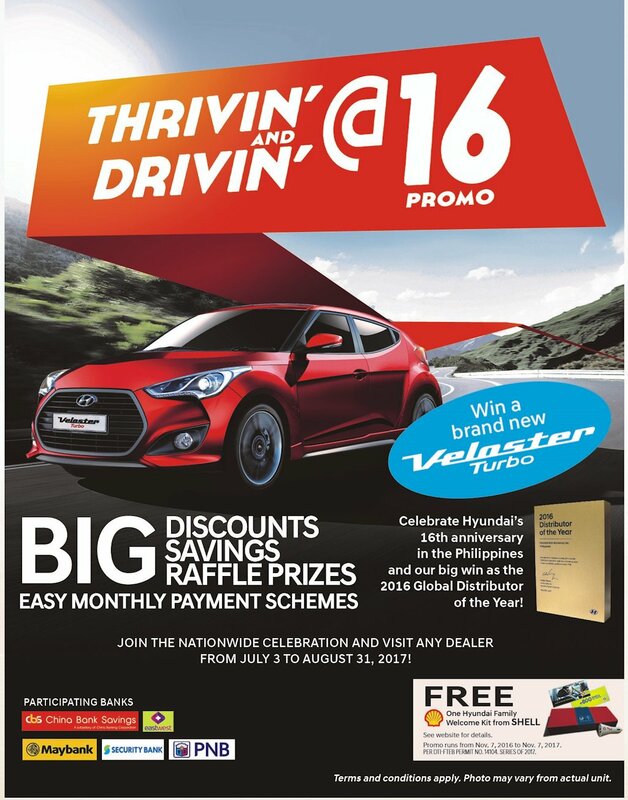 This promo runs from July 3 to August 21, 2017 and is done with partnership with HARI’s bank partners: BPI, Chinabank Savings, EastWest Bank, Mayback, RCBC, and Security Bank.